The siren blasted three times. She peeked out from under the blankets. The clock read 3.46 am. She glanced across the tiny bedroom at her mom. Should she wake her? She knew what her mom would say. You're not going out in the middle of the night. Tatum. Now, go back to sleep. Did you know there are ninety nine different words for ice in the Yupik language, depending on its size and consistency? How about that Alaska had fifty different types of wild berries including chokeberries; bearberries and salmonberries? Mad isn't it. This is why I love doing weekly specials of different parts of America, the culture is just so diverse. This book really brought to life the Alaskan culture I was looking to find during this experience. The Alaskan traditions were strongly described in this book, bringing to life whaling and mushing. I felt this book was extremely well researched and provided a clear understanding of the culture of the Alaskans. The grandfather in the book, brought tears to my eyes as he described the traditions dying out as the younger generations wanted to live like the rest of America. It really is sad to see them slowly being lost. I thought Tatum made a brilliant lead character. Her quest to compete in the Iditarod Trail Sled Dog Race, when she was older, has consumed her life, but kept her alive as the book progressed. I didn't warm to Cole; I couldn't help but feel he had been a bit foolish, leading Tatum out and into so much danger. The second half of the book really goes off at a pace and you feel exhausted and cold as the story comes to a climax. You cannot help but feel frozen, and you find yourself putting on extra layers as you read on. The dogs really made this book for me. I fell completely in love with Bandit, who reminded me of Lassie. She was such an intelligent dog and knew exactly when trouble would wasn't far away. I really enjoyed the book, but there were a couple of little things that annoyed me about the plot. Now this will contain spoilers,so if you are planning to read it, please do not continue reading. Firstly, when Bandit had the puppies, I didn't see it coming and I felt like it was dealt with far too quickly. I can't imagine that puppies instantly appear and I felt it was a case of just telling us what happened rather than showing. Secondly, I found that the book ended rather abruptly. I was left with too many questions. I wanted to see what happened after they were rescued and that just didn't happen. Apart from these two little niggles, I did enjoy the book and I felt I learnt quite a lot about Alaska and the traditions held dearly there. 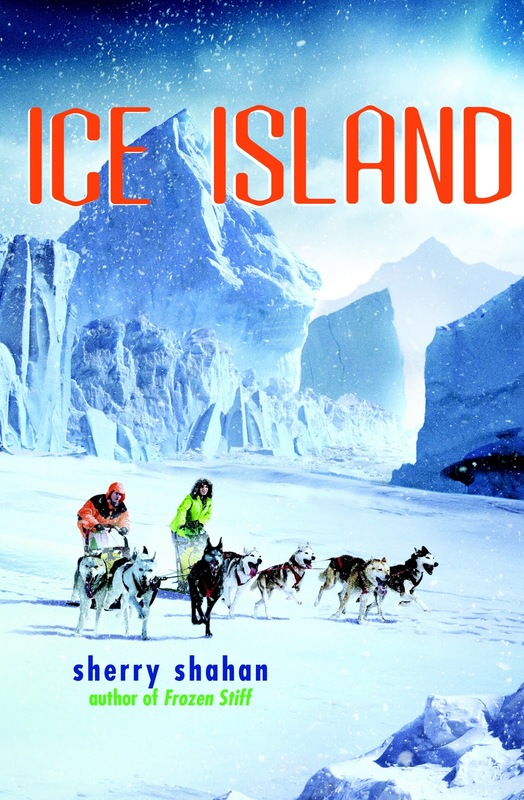 Ooh I like the sound of this, I'd love to read more about Alaska so this sounds like it would be a good book to read. I wish there were so many more books on the place. I think there is a general lack of fiction especially YA set in Alaska. This sounds like a wonderful book about Alaskan culture! I'd like to visit Alaska some day but I think it's probably too cold for me to live there. I would love to see it one day too. It just sounds amazing.